(Korean): The 94FS is a unit of the USAF 1st Operations Group located at Joint Base LangleyÐEustis, VA. The 94FS is currently equipped with the F-22 Raptor and is one of the oldest units in the USAF, first being organized on 20 August 1917 as the 94th Aero Squadron of the United States Army Air Service at Kelly Field, TX. It was one of the first USAF operational squadrons equipped with the F-15A Eagle in January 1976. With the disestablishment of TAC in 1992, it was assigned to the newly-established Air Combat Command (ACC). This is the standard squadron patch worn by the unit. It was found in a Korean embroidery shop in VERY limited quantities and does not come with velcro attached. While the "normal" squadron patch is readily available on other sites, this one was made in the Pacific Theater and has that "feel" about it. Since I only have TWO, you have to email me to order it!! 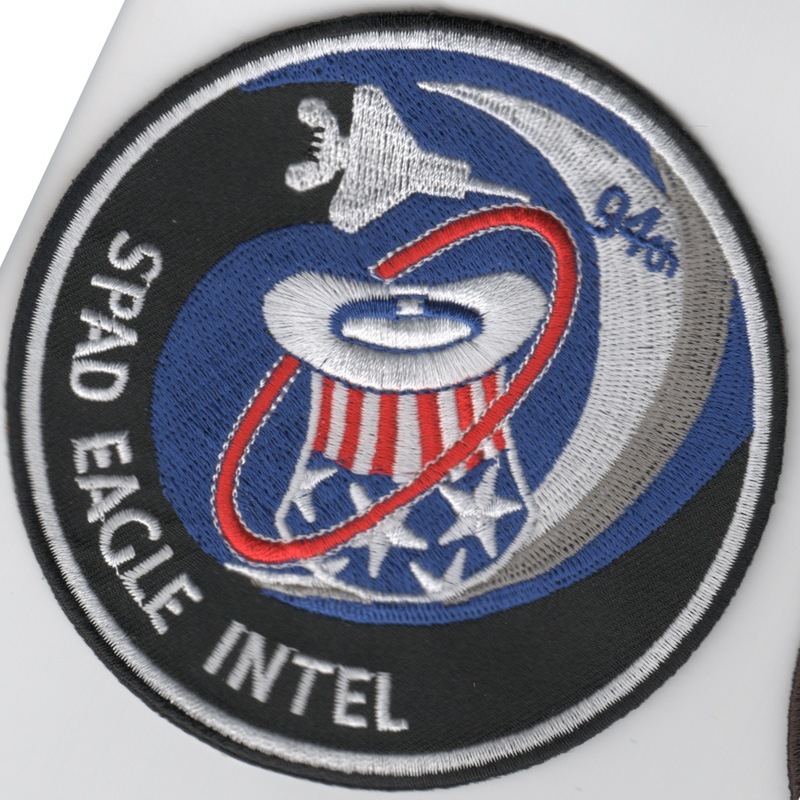 This is a squadron patch for the 94th Fighter Squadron INTEL guys and says "SPAD EAGLE INTEL" at the bottom. This is the Seagull patch for the 101FS squadron from Cape Cod, which is in fact their "daily" patch and not the "Friday" patch. They wear the Seagull on the right shoulder and the "Mass Air Guard" patch on the left which serves as kind of a wing patch (Only wing weenies wear the "OMNIS VIR TIGRIS" 1775 patch). 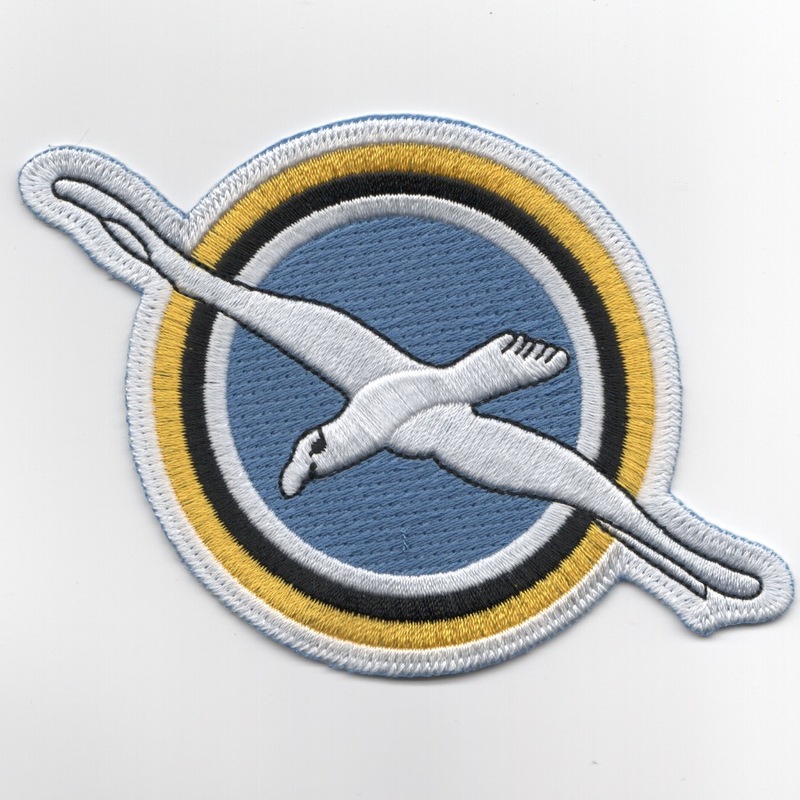 The Seagull patch, otherwise affectionately known as the "Dumpster Duck", is in fact the oldest patch still in use in the Air Force - it was the patch of the 101st Observation Squadron from WW1 era timeframe. Some people hate it, some love it, I think it's kind of unique because we don't even have a squadron name (although unofficially "The Magnificent Bastards" is catching on, or "MagBastards" for short). Info directly from a squadron member. This patch does not have velcro attached. This is the desert version of the current squadron patch for the 101st Fighter Squadron, the Massachusetts Air National Guard. This patch is for the 101FS F-15C squadron, which is the MA Air National Guard squadron. It depicts their slogan of "Magnificient Bastards". This is the desert version of the F-15C aircraft patch for the 101st Fighter Squadron, the Massachusetts Air National Guard that states "CAPE COD EAGLE DRIVER" at the bottom. This is the deployment patch for the 102nd Fighter Wing to Operation Southern Watch. This is the deployment patch for the 102nd Fighter Wing to Operation Northern Watch. This is the current color version of the squadron patch for the 102nd Operational Support Flight, the supporting squadron for the 101 FS and the 102 FW. This is the current desert version of the squadron patch for the 102nd Operational Support Flight, the supporting squadron for the 101 FS and the 102 FW. The 104th Fighter Wing of the Massachusetts Air National Guard located in Westfield, Massachusetts, is an operational flying unit assigned to the Air Combat Command, and proudly claims the honor of being one of the oldest flying units within the Commonwealth of Massachusetts. Tasked to provide operationally ready combat units, combat support units and qualified personnel for active duty, the 104th Fighter Wing supports Air Force wartime contingency requirements and performs a variety of peacetime missions required by the Air Force and compatible mobilization readiness. 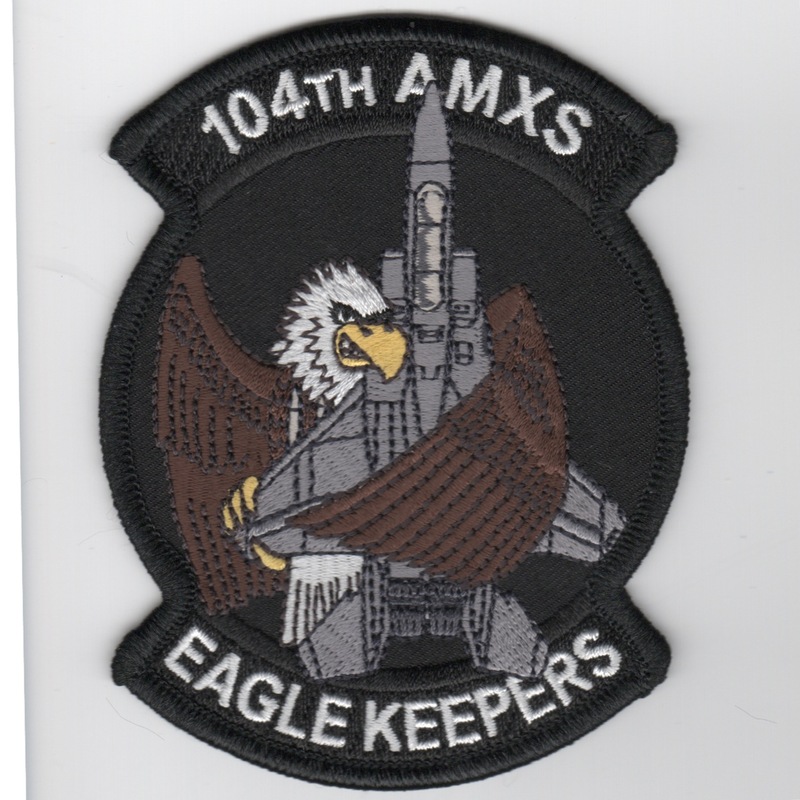 This is the current version of the squadron patch for the 104th Aircraft Maintenance Squadron, the supporting squadron for the 101 FS and the 102 FW. 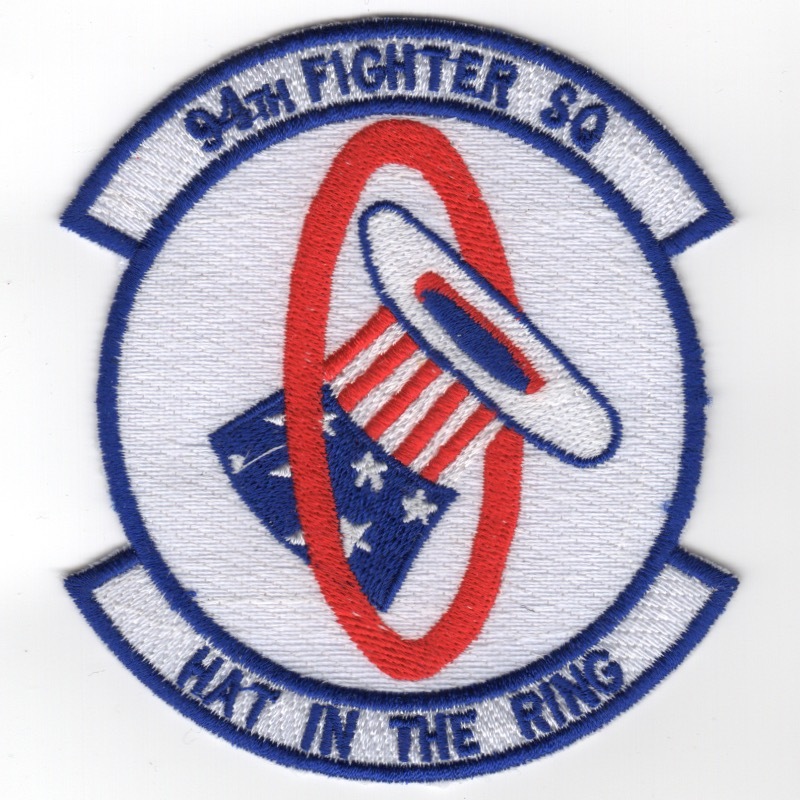 This is the squadron patch for the 122nd Fighter Squadron that fly the F-15A out of NAS New Orleans, LA. This is the 'Bayou Militia' patch for the 122nd Fighter Squadron that fly the F-15A out of NAS New Orleans, LA. The 159th Fighter Wing flys F-15 aircraft with a primary mission of air sovereignty. On June 25, 1999, members of the 159th Fighter Wing, New Orleans ANG, while on deployment to Reykjavik, Iceland, flying F-15A aircraft, intercepted two Russian TU-95 "Bear-H" aircraft. They use Warning Area airspace over the Gulf of Mexico for most of their training. Supersonic flight, necessary for realistic training, is conducted away from the shoreline in a manner that does not disturb the public. The term "Coonass" is a term that was used for and by Cajun folks to described themselves. Not all Cajuns appreciated this term, but it stuck to the Louisana Air National Guard. 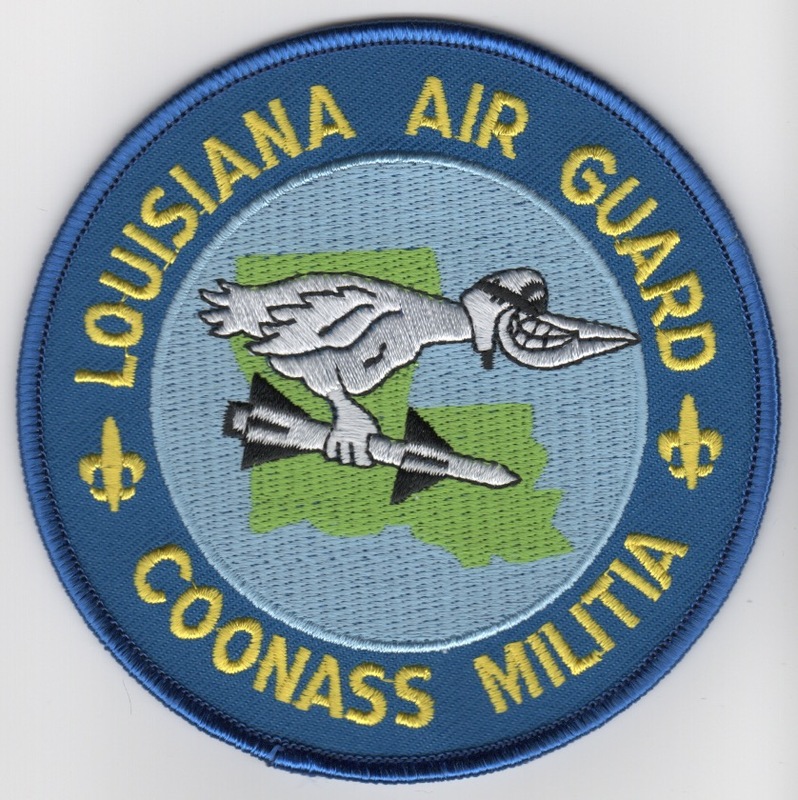 Although the Louisiana state legislature condemned the word's use in 1981, the Louisiana Air National Guard's acclaimed 159th Tactical Fighter Group referred to itself as the "Coonass Militia" until 1992. This is the "light" blue version of the squadron patch and does not have velcro attached. The 159th Fighter Wing flys F-15 aircraft with a primary mission of air sovereignty. On June 25, 1999, members of the 159th Fighter Wing, New Orleans ANG, while on deployment to Reykjavik, Iceland, flying F-15A aircraft, intercepted two Russian TU-95 "Bear-H" aircraft. They use Warning Area airspace over the Gulf of Mexico for most of their training. Supersonic flight, necessary for realistic training, is conducted away from the shoreline in a manner that does not disturb the public. The term "Coonass" is a term that was used for and by Cajun folks to described themselves. Not all Cajuns appreciated this term, but it stuck to the Louisana Air National Guard. 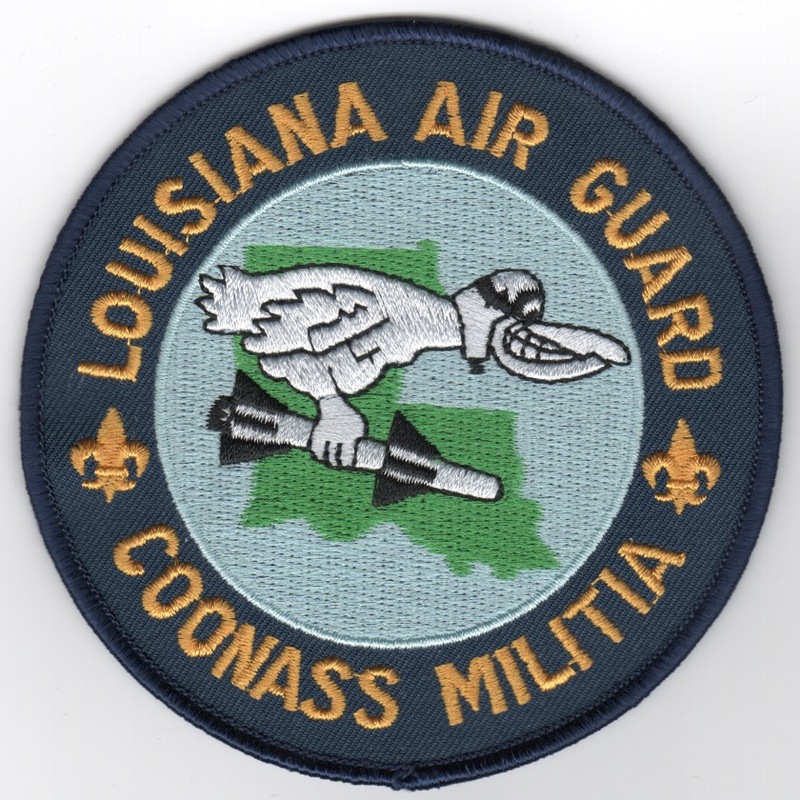 Although the Louisiana state legislature condemned the word's use in 1981, the Louisiana Air National Guard's acclaimed 159th Tactical Fighter Group referred to itself as the "Coonass Militia" until 1992. This is the "dark" blue version of the squadron patch and does not have velcro attached.